We have some issues about the website about finish the migration. 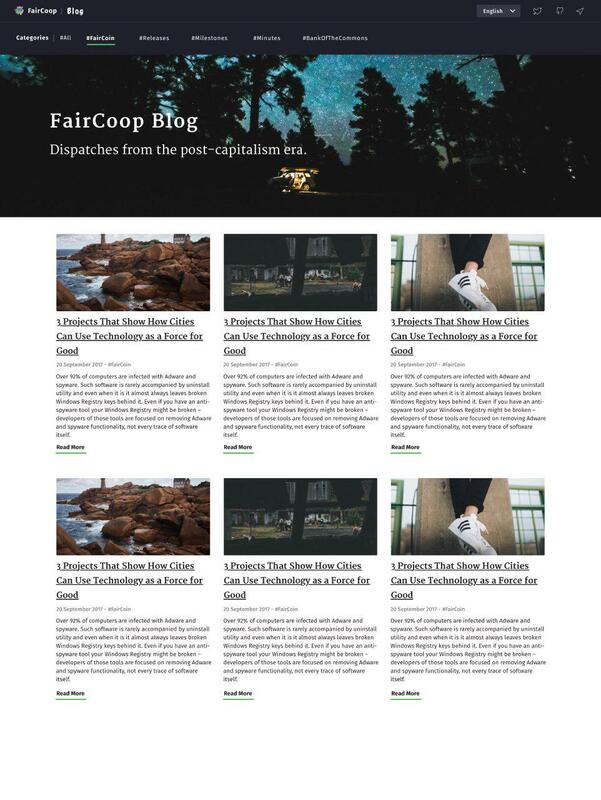 We have now a main website https://fair.coop and https://blog.fair.coop and https://wiki.fair.coop. Before we have an old wordpress website than now we can review on https://2017.fair.coop. We decided in assembly to change on another model of website to improve and be more easy for the newcomers and easy to edit for communication people. For blog we decided use the same design but for drupal, this is until now on charge Fairkom. And for wiki we decided to use dokuwiki. We don't have any design yet but we are writing texts but not everybody because there are some difficulties from no tech users. After the last events and for trying to improve I want to write this project to don't follow again in the same errors. The project is for documentation our the process and to can follow if any of the responsible have another need or problem. If we documented all in the best way we can... more developers could help us. This project is completely open to review, change and make notes or whatever you want... always thinking in the commons. I can not use OCP or Gitlab because is not available to join task and subtask and I try to use openproject because Catalunya NODO is testing now. But for now I can try to put in gitlab too. For main website my only concern is, needs for documenting and some issues like security and some errors in multilanguage scripts happens sometimes and the browser gives nº500 error. Another concern is that @bernini wants to leave the main website to do some other projects. For Blog, Fairkom wants to split their work on drupal from fair-coin.org and blog.fair.coop that now is in a multisite place with some issues with multilanguage, some difficulties in edition for communication people and the theme is not complete yet with the mockup @bernini design. For wiki, I started installing and importing some documents and creating a structure for wiki and starting too the user manual but not finish and some user have some issues to understand the dokuwiki syntax. The this project have an option to finish this work correctly and well documented or change all we want basing in the same design @bernini did before and create structure and well documented project. Using timing and try to work for objectives and purchases. Create a little space to show next assemblies. Create a little space for last post in the blog. Complete the theme on dokuwiki or other basing in the main website design... Try to be coherent using the same style the other two. Both for the writing part and for the sample part already finished, you will have a design of each form.